Iran's government has a law at its disposal that make it possible to label almost any Internet user a criminal. 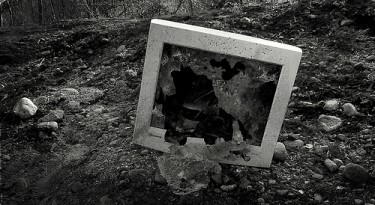 The “Law of Computer Crimes” (one law with 56 articles) was approved by Iran's parliament in January 2009. It has been instrumental in the prosecution and repression of several cyber-activists and bloggers, but its articles have never received much public attention or scrutiny. So let’s look at some confusing, surreal and catch-all aspects of the law concerning internet use and online content. It seems rational within the framework of the Islamic Republic to ban publishing and distribution of anti-Islamic content, but the definitions of criminal content are even more far reaching. Insulting and satirizing the state, public institutions, and authorities is also looked upon as criminal. In other words, you could be charged with committing computer crimes if you insult Iran's leaders, prophets, and religion, or even make a joke about public transportation or state-run electricity. That’s right. Disturbing public opinion regarding state-run organizations and authorities is illegal too. Content that encourages, invites or provokes others to commit crimes is illegal, but so is linking to this (potentially filtered) content, which could itself be considered as bad as promoting violence, drugs or smuggling, or anything else. Islamic Republic lawmakers also consider content that encourages “squandering” (as in wasteful expenditure) against the law. In other words, anyone who uses the Internet for commercial or marketing purposes could be questioned. The word “squandering” has not been clearly defined and leaves room for doubt. Also illegal is publishing any propaganda or articles that speak against the Islamic Republic, contradict Iran's constitution, or cause injury to the Islamic Republic’s principles. Many observers were surprised when Facebook and several other websites were accused by Iranian judiciary officers of participating in a plot against the regime during the trials of protesters from post-election demonstrations in June 2009. Once content like this falls under the definition of criminal law, even ordinary social media activity in Iran could potentially be considered criminal. Lack of clarity is not just restricted to content, but also to use of the Internet more generally. According to one article of the law, no one has the right to use “international broadband based on internet protocols” without permission to communicate. The Persian words [پهنای باند بین المللی] I translate to “international broadband” but it's not really clear what they mean. Two Iranian cyber-activists, Amin Sabeti and Arash Kamangir, both consider this restriction confusing and remarked by email to me, that probably this refers to accessing the internet by satellite which is forbidden in Iran. But it could also be a reference to using communications software like Skype. This law is not just ink on paper. It has already been used several times in recent years to chain bloggers and cyber-activists. Iranian blogger Omid Reza Mir Sayafi was jailed for insulting religious leaders and died in prison in 2009. Only two months ago, blogger Hossein Derakhshan was sentenced to 19 years in prison for cooperating with hostile countries, spreading propaganda, and insulting religious figures. In the end, Iran’s judiciary officials have led us to ask what is more dangerous for Iranian citizens – lawlessness or the laws themselves?